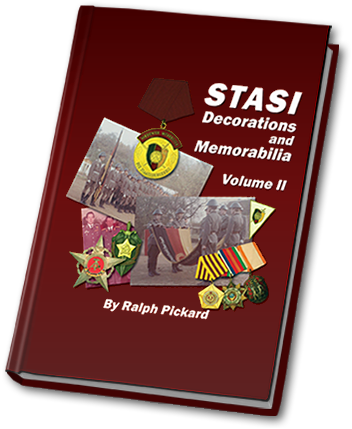 STASI Decorations and Memorabilia Volume II is essential to all East German collectors, academic researchers or people who are interested in and wanting to know more about the STASI organization and DDR memorabilia. 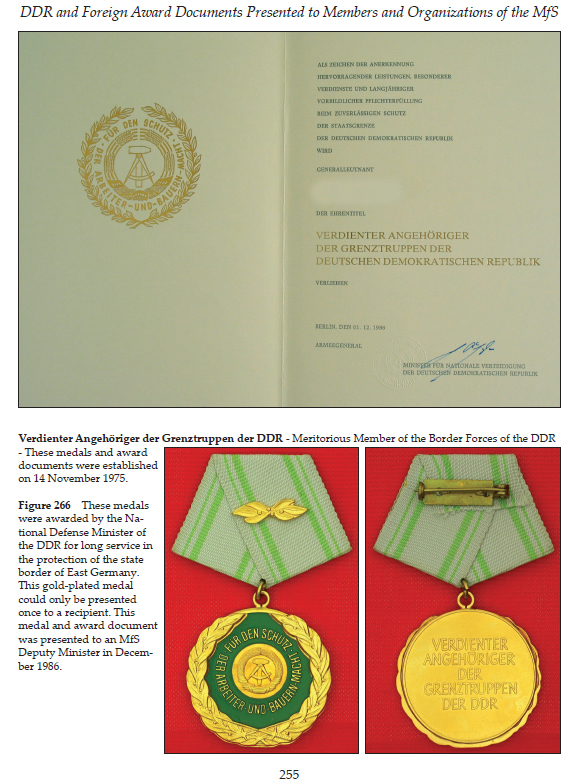 This book provides additional data and historical perspectives on the different medals and award documents along with other DDR and foreign memorabilia that were presented to the former STASI members throughout the Cold War that were not discussed in the first book. 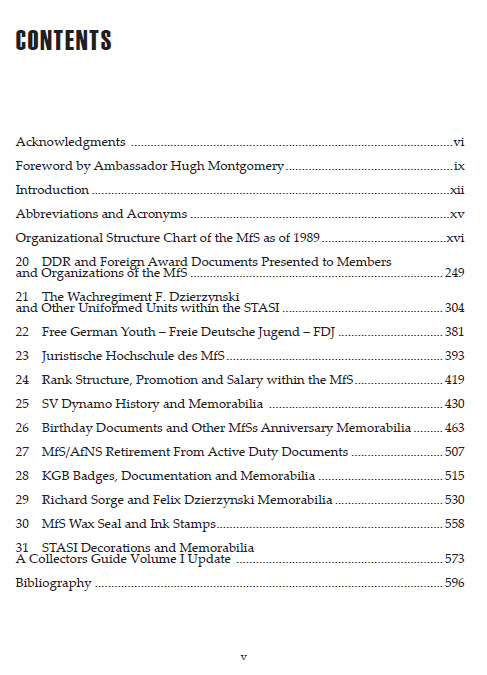 ...an incredibly in-depth, scholarly approach to orders, medals, badges and other memorabilia directly and indirectly associated with the Ministry of State Security. 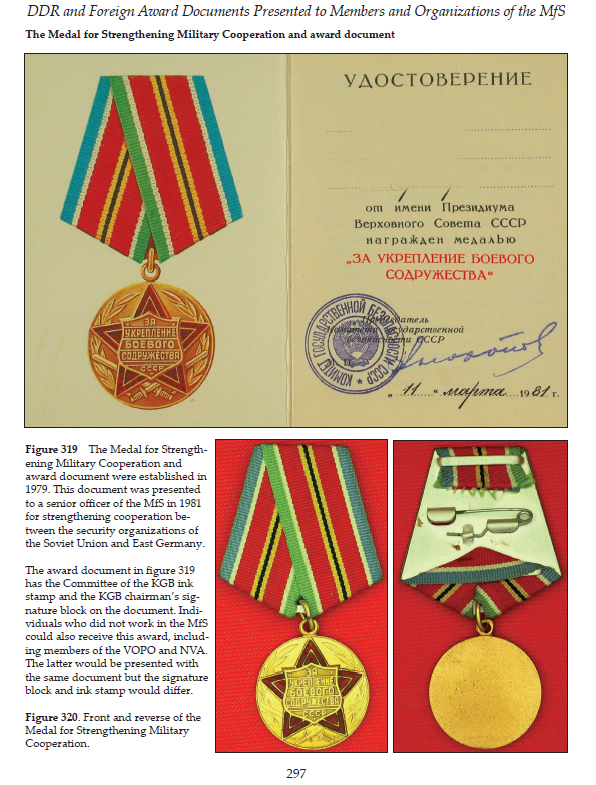 Soviet medals and KGB badges presented to former MfS members. 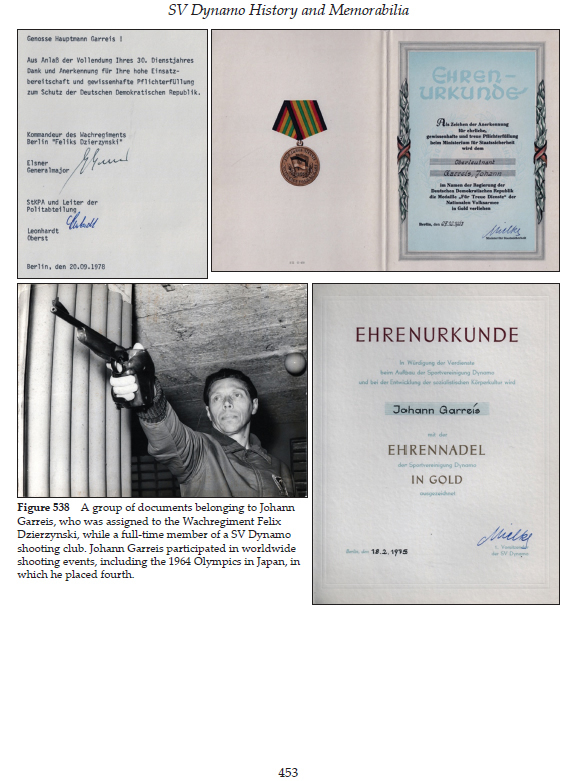 More than 800 high resolution color images of medals and documents. Twice the number of images in Volume I. 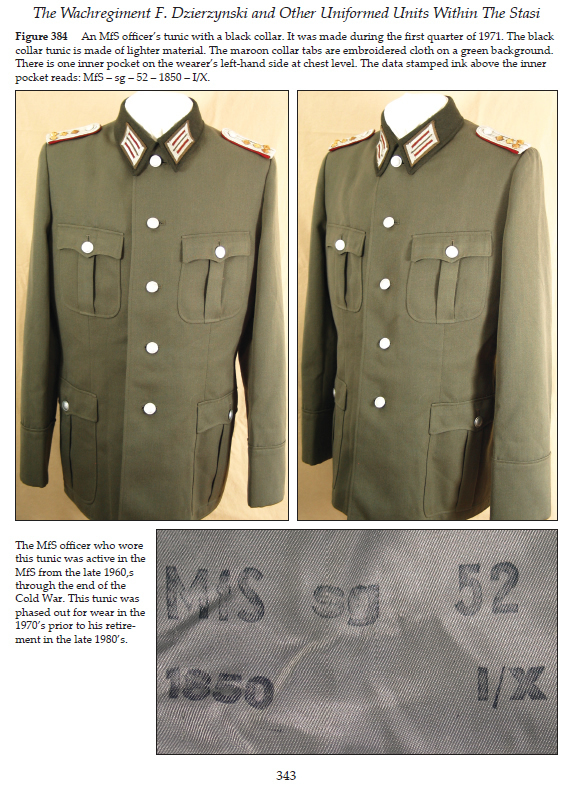 A historical perspective of this uniformed organization, which includes period photographs along with high quality illustrations of tunics, badges and documents that were presented to its members. 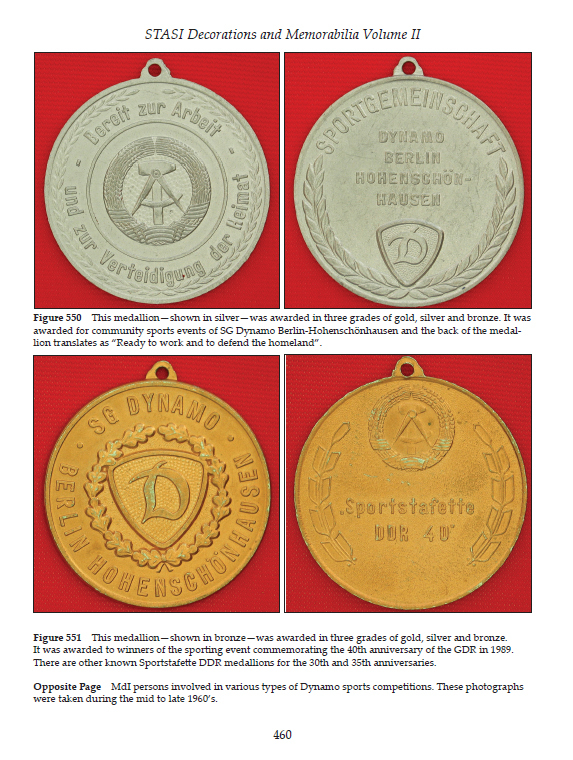 ...this study will remain the true bible of Stasi medals, mementos and insignia...which will neither be duplicated nor superseded by any subsequent work. 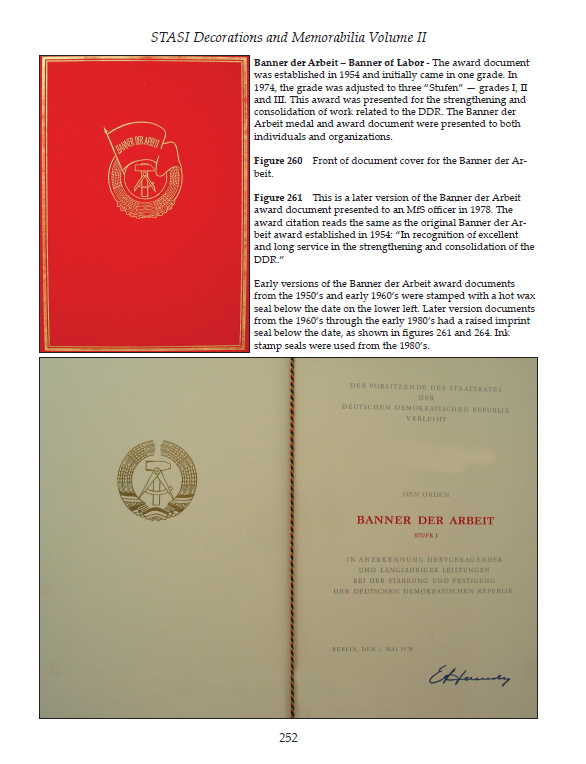 Frontline Historical was established in 2007 to promote Cold War books written by self-published authors. The idea behind the name Frontline Historical came from the term used for the most forward operating line of friendly and enemy forces in-contact or those facing each other during time of conflict or Cold War.